Tháinig muid le chéile ag an ócáid seo inniu chun aird a dhíriú ar obair Iontaobhas na Gaelscolaíochta agus ar an fheachtas bailithe airgid ‘Ó Neart go Neart’ atá le seoladh inniu ag an Aire Oideachais, Caitríona Ní Ruadháin. 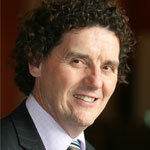 Beidh an bainisteoir bailithe airgid agus an tAireag tabhairt cuntas níos iomláine ar an obair sin amach anseo. Níl ann ach go bhfuil mise ag dul a thairiscint daoibh líníocht bheag den chúlra ar an rud a dhéanaimid leis an airgead nuair ata sé againn. InaG & CnaG were established in 2001 as part of the commitment given in the GFA to give recognition to the status of the Irish language in the north. 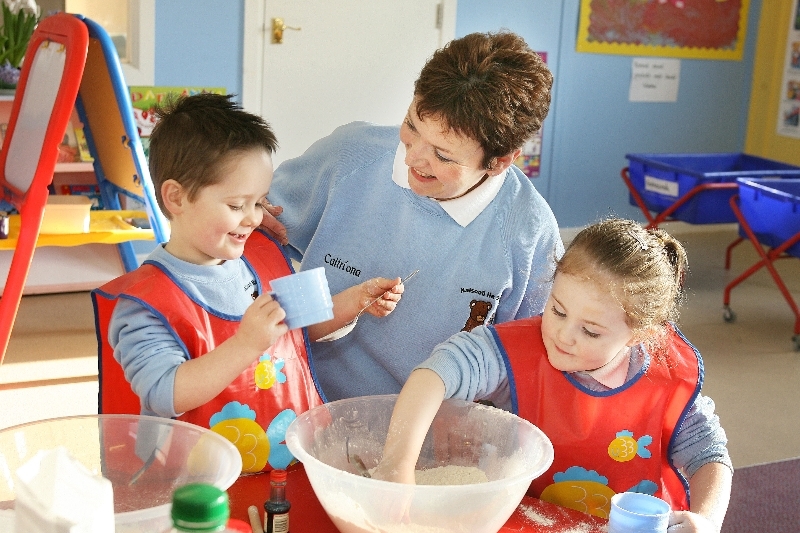 To date the DE has given funding of around £3.5 m to InaG which has been used mainly to provide support to unfunded schools, in support grants for newly established IM pre-school groups and to provide accommodation to IM schools with recurrent funding, but that have not yet met the threshold for capital grant funding. Considering the fact that half of IME schools  were unfunded at that time, 2001, and that the number of children attending IME schools has doubled, I think we can be happy that we have spent the resources allocated to us wisely and effectively. We are as aware as anyone of the need to constantly monitor the environment we operate in and to improve our outputs. We accept that the ad-hoc development of the IME sector is not in the long term interests of the IME system or of the language as a whole. We, along with Comhairle, the council for IME, as lead partner, are working to a development framework, which will enable us to develop a more strategic approach and will be more cost effective as we seek to provide the resources that the future development of the IME sector depends on. the Irish language has not been treated by the state in a way that would indicate that it is regarded as a vital part of our shared experience going back 2000 years. We are in a new and more inclusive dispensation and we very much welcome the decision of the minister to come here today to put her weight behind our fundraising efforts. We are committed to working in partnership with the minister and with the DE to ensure the best possible outcomes for the children who come through the IME schools. The children who are here today from Gaelscoil na Móna are a living example of what we are looking to achieve. The school struggled without funding from the DE for 5 years. They were able to get by only because of the financial support InaG provided. The school is now flourishing; the credit for its strong position goes to the committee, staff and supporters, but without that funding it would not have been possible. We have spent in excess of £400,000 on the school, but it is an investment that has already justified itself. 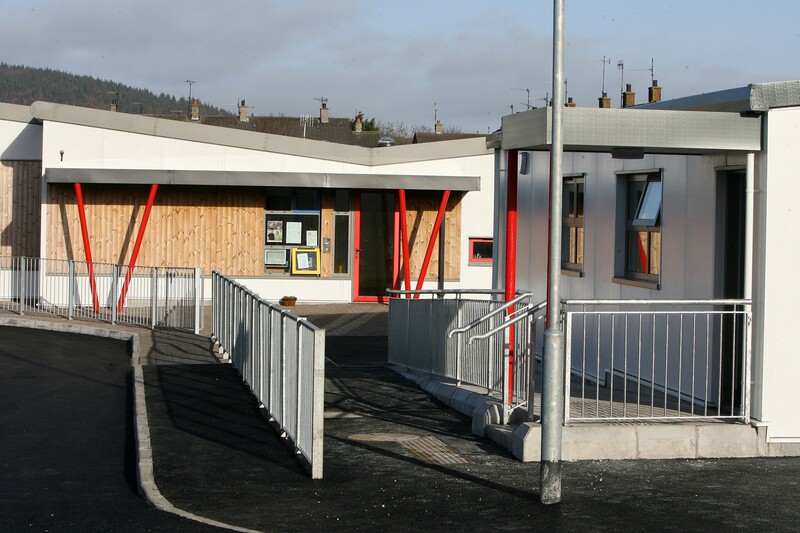 To call GS na Móna a school does not do it justice; it is a pre-school, an after school’s project, a summer scheme, an adult education centre and a cultural centre. This is what the extended schools initiative is all about and that is the model of most of the gaelscoileanna [IME schools] throughout the north. Unfortunately, we have not been able to provide the same level of support to other projects in recent years, because we do not have enough resources. Múineann gá seift – Need is the mother of invention. We are here today to try and address that need. This fundraising campaign ‘Ó Neart go Neart’ and the additional resources already secured as part of it show emphatically that we are not sitting back waiting on handouts. We have brought significant resources from the private sector to the table and we are putting together structures that will further enhance our capacity to attract additional funding in the coming years. Beidh an bainisteoir bailithe airgid agus an tAire ag tabhairt cuntas níos iomláine ar an obair sin amach anseo. Níl ann ach go bhfuil mise ag dul a thairiscint daoibh líníocht bheag den chúlra ar an rud a dhéanaimid leis an airgead nuair atá sé againn. In 2001 a bunaíodh InaG & CnaG mar chuid den ghealltanas a tugadh i gComhaontú Aoine an Chéasta go n-aithneofaí stádas na Gaeilge sa tuaisceart. Go dtí seo, thug an Roinn Oideachais maoiniú tuairim is ar £3.5m do InaG, airgead a caitheadh den chuid is mó ar thacaíocht do scoileanna gan mhaoiniú, ar dheontais tacaíochta do ghrúpaí réamhscoile nuabhunaithe Gaeilge, agus le cóiríocht a sholáthar do Ghaelscoileanna le maoiniú atréimhseach, ach nár bhain amach go fóill an tairseach do mhaoiniú deontais chaipitil. Agus muid ag cuimhneamh go raibh leathchuid de Ghaelscoileanna  gan mhaoiniú an t-am sin, 2001, agus gur dúblaíodh líon na bpáistí a fhreastalaíonn Gaelscoileanna, creidim go dtig linn bheith sásta gur críonna agus gur le héifeacht a chaith muid na hacmhainní a roinneadh orainn. Is eol dúinn chomh maith leis an dara dream, gur gá síorfhaireachán a dhéanamh ar an timpeallacht ina n-oibrímid agus ár dtáirgeachtaí a fheabhsú. Glacaimid leis nach í forbairt ad-hoc earnáil na Gaelscolaíochta is fearr a rachaidh chun leasa, san fhadtréimhse, don Ghaelscolaíocht agus don teanga ina n-iomláine. Táimid féin, maraon le Comhairle, comhairle an Ghaeloideachais, an príomhpháirtí, ag obair ar chreat forbartha, a chuideos linn cur chuige níos straitéisí a fhorbairt a bheas níos costéifeachtaí agus muid ag iarraidh na hacmhainní a sholáthar a mbeidh forbairt earnáil an Ghaeloideachais ag brath orthu feasta. Tá a fhios againn gur i gcomhthéacs úr dearfach polaitiúil atáimid ag obair, inar ghéire an scrúdú a dhéantar, rud is cóir, ar chinní a bhaineann le caiteachas poiblí. Dian atá an iomaíocht ar mhaoniú ón sparán poiblí, ach is é fírinne an scéil, nár chaith an stát riamh leis an teanga Ghaeilge ar dhóigh a léireodh go meastar í bheith ina cuid ríthábhachtach dár gcomhthaithí le 2000 bliain anuas. Táimid anois i ndispeansáid atá úr agus níos idirghabhálaí agus fáiltímid roimh chinneadh an Aire teacht anseo inniu a thabhairt tacaíochta dár n-iarrachtaí le hairgead a thiomsú. Táimid tiomanta ar oibriú i bpáirtíocht leis an Aire agus leis an RO leis na torthaí is fearr is féidir a chinntiú do na páistí a thagann trí na Gaelscoileanna. Sampla beo iad páistí Ghaelscoil na Móna atá i láthair inniu den rud atáimid ag iarraidh a bhaint amach. Mhair an scoil gan mhaoiniú ón RO le 5 bliana. Gan tacaíocht airgid InaG ní mhairfeadh sí. Tá an scoil anois faoi bhláth agus dóigh mhaith uirthi, a bhuíochas sin don choiste, don fhoireann agus don lucht tacaíochta, agus gan an mhaoiniú sin níorbh fhéidir é. Tá breis agus £400,000 caite ar an scoil againn, ach is infheistíocht í a thig a chosaint. 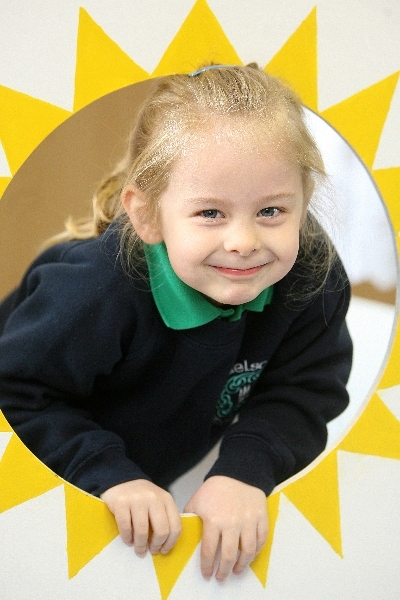 Ní cothrom na Féinne do Ghaelscoil na Móna scoil a thabhairt uirthi; réamhscoil í, togra iarscoile, scéim samhraidh, ionad oideachais d’aosaigh agus cultúrlann. Sin bunbhrí an tionscnaimh shínte scoileanna agus samhail bhunús na nGaelscoileanna ar fud an tuaiscirt. Ar an drochuair, níor éirigh linn an leibhéal céanna tacaíochta a thabhairt do thograí eile le blianta beaga anuas, ar an ábhar nach bhfuil ár sáith acmhainní againn. Múineann gá seift, agus is chun aghaidh a thabhairt ar an ghá sin atáimid anseo inniu. Léiriú láidir é an feachtas tiomsaithe airgid ‘Ó Neart go Neart’ agus na hacmhainní breise a fuarthas cheana féin, nach bhfuilimid inár suí siar ag fanacht le síneadh láimhe. Thug muid acmhainní suntasacha ón earnáil phríobháideach go dtí an clár agus táimid ag cur le chéile struchtúr a mhéadós tuilleadh ár gcumas le maoiniú breise a mhealladh sna blianta romhainn amach. 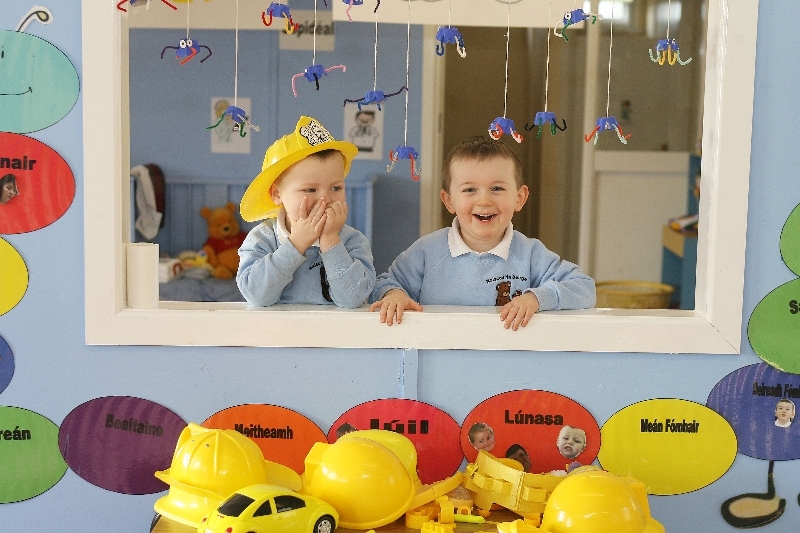 An Irish-medium preschool for Magherfelt marks a new beginning in education for local children.